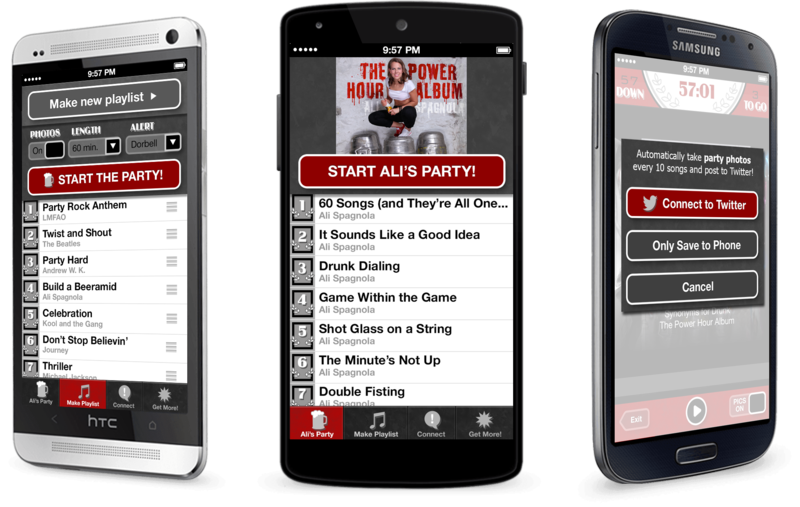 Ali's Party Hour App | Always have a party in your pants. Always have a party in your pants. If you download this app and then run into me in person, I will high five the crap out of you. Power Hour: A drinking game where you drink every minute for an hour. This app makes the game 60 times more kickbutt. Make playlists from one-minute cuts of your music. Rock out and then drink together when the song changes! You can shuffle all your songs, filter by genre or artist or use your completely custom iTunes playlists. 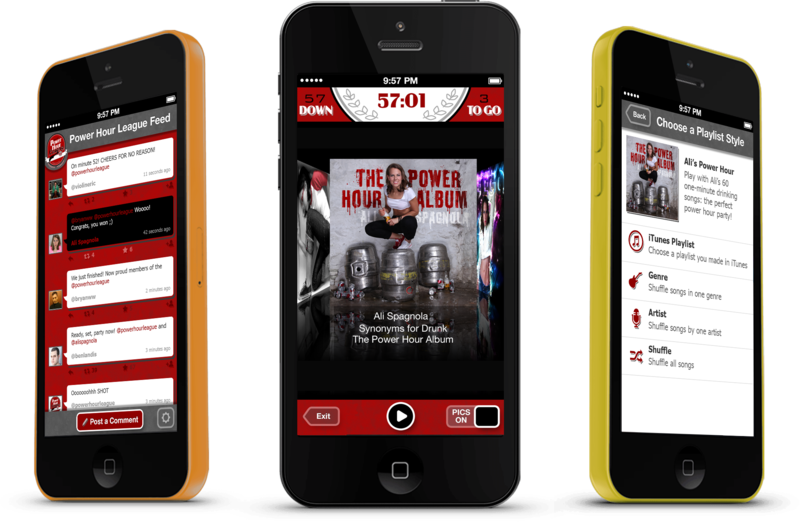 The app also includes all 60 songs from Ali Spagnola’s Power Hour Album!! - My original album of one-minute jams, written to be the perfect Power Hour drinking game. You can automatically take/share photos as your party progresses from zero to awesome. Tweet to your friends how much fun you’re having (without stopping said fun). I added a live feed of updates from everyone using the app. You can connect with me and other Power Hour players in real time! There's even more ways to experience my Power Hour Album. Check out my website for music, videos and rad merch. Connect with me on Facebook! YAY! I'll send you occasional and always awesome stuff! Only $1.99 in the App Store and Google Play! App feedback? Just want a virtual high five? EMAIL ME! © 2015 Ali Spagnola. All Rights Reserved.